Five years ago, Wren Connolly was shot three times in the chest. 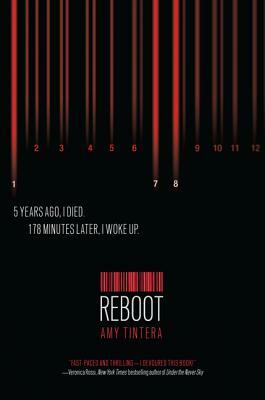 After 178 minutes, she came back to life as a Reboot -- stronger, faster, able to heal, but less emotional. The longer Reboots are dead, the less human they are when they return, making Wren 178 the deadliest Reboot in the Republic of Texas. Callum 22, on the other hand, is practically still human. He's the worst trainee Wren has ever had -- his reflexes are too slow, he's always asking pesky questions, and his ever-present smile is freaking her out. Yet he's still her newbie. When Callum fails to measure up to Reboot standards, Wren is told to eliminate him. Wren has never disobeyed before, but she'll do whatever it takes to save Callum's life.